Located in Gorontalo province of Sulawesi, Indonesia. Pulo Cinta is a private island surrounded by crystal blue ocean, among the inhabited islands of Tomini Gulf. Pulo Cinta has the direct translation of Island of Love. The name is such as during the Dutch colonial era, this place was a secret escape of forbidden love between the Prince of Gorontalo and a beautiful daughter of a Dutch Trader. Discover various types of amazing corals and a myriad of beautiful underwater creatures. This hidden paradise is the perfect place for a romantic getaway or even a family vacation. Flights leave early morning to Jalaluddin Airport in Gorontalo from Bali. If you are outside Indonesia, it's best to fly to Manado and connect to Gorontalo by domestic airlines. Pulo Cinta provides an exclusive airport pick up from the resort to take you to the island. You will need 2 hours drive to Boalemo harbour and another 30 mins boat trip to get to the resort. This eco resort consists of 15 luxury villas with 3 different types of room (1-3 bedrooms villa). All these wooden villas are built above the water, if you look from above through a drone camera you will notice the wooden deck that connects all villas form a shape of heart. Pulo Cinta is a 100% solar powered villa concept, with fresh water showers and private sun deck for each room. All foods and drinks are included in your stay. They provides breakfast, lunch and dinner buffet with snacks in between meals if you get peckish. Foods are freshly supplied and cooked with a richness of exotic local spices. Wake up to a beautiful sunrise with the gentle sound of the ocean. Climb down the stairs just outside your private deck to feel the warm water and have a lazy snorkle around the resort and see all the colorful fish and even tiny manta if you're lucky! Pulo Cinta is surrounded by pristine dive sites. Get help from the staff to manage your trip if you are planning to explore and witness the underwater beauty by scuba diving or just to explore nearest sand banks. 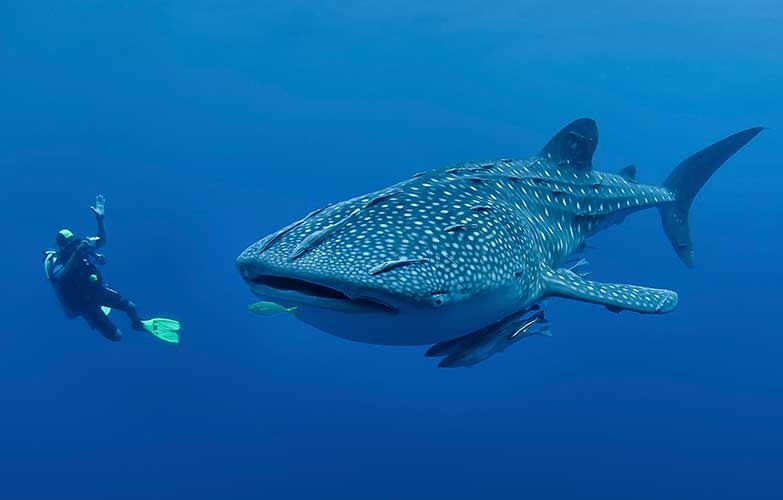 Nobody wants to miss the opportunity of witnessing the majestic whale shark of Gorontalo. Get the information from the resort before hand weather it's possible to get to see the whale shark at times you are planing to stay. What's more romantic than enjoying an exquisite sunset on a hammock with your significant other! Beautiful sunsets everyday surrounded by crystal clear turquoise-blue water and spectacular views of the endless ocean horizon. Being isolated in the pristine ocean Boalemo, you get front row 1st class seats to gaze upon millions of stunning stars above you. If you are in lucky you might also see a shooting star with your partner and make a wish.